Staircase and lift rooms and passage thereto in the basement floor or floors used for parking. Area of the stilt parking floor provided it is open on sides, and used for parking. In cases where upper floor or floors over a stilt parking floor is proposed for parking. If the building is constructed on stilts and the stilt floor is to be used for parking, it shall not be enclosed, if it is enclosed it shall be counted for FSI. The Premium FSI charges shall be collected at the rate of 50% of Guideline value for the excess FSI area over and above normally permissible FSI area for Non High Rise Building and at the rate of 40% of Guideline value for the excess FSI area over and above normally permissible FSI area for High Rise Building. In case of multiple survey numbers for a site the maximum Guideline value shall be considered. The maximum permissible FSI for residential building and high rise buildings in 2. For institutional buildings the FSI permitted in 1.
over and above the permissible FSI. 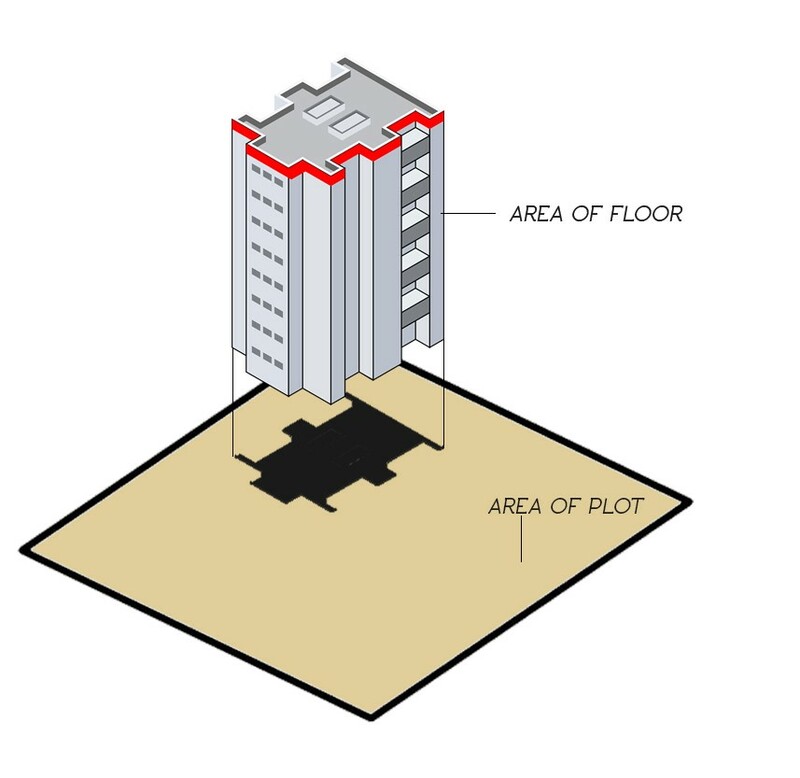 For high rise buildings the FSI Tolerance Limit is will be 0.03 of FSI or 50 Sq.mt., floor area whichever is higher over and above the permissible FSI.